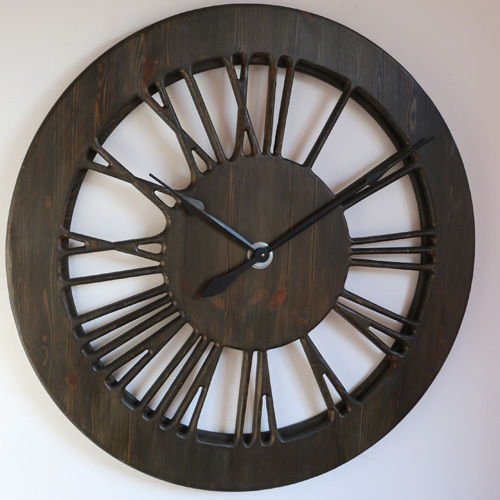 The “Light Tudor” clock is handmade from a single large panel of sustainably sourced pine wood. It is a member of the new family of hollow clocks. 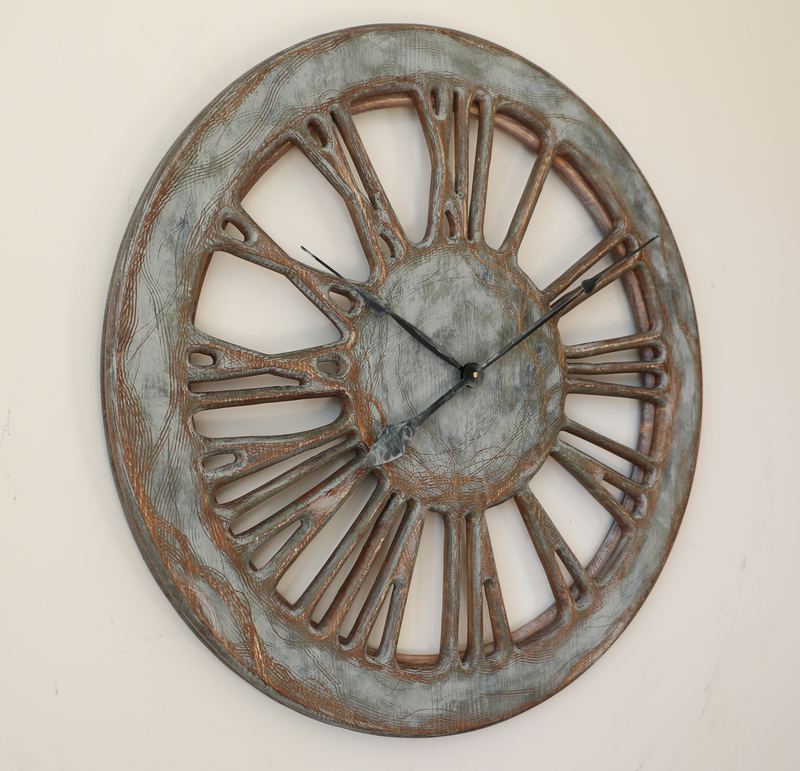 The clock face is displaying carefully hand crafted Roman Numerals and the wall colour is visible in the background. 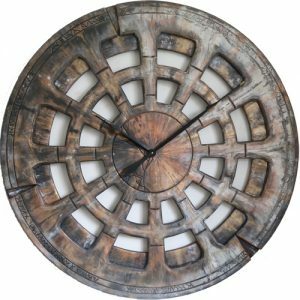 With a total diameter of 100 cm and its classic design, the “Light Tudor” will blend well in most interiors. Let us introduce a beautiful tudor clock – one of the first member of skeleton wall clocks family. It has been a popular choice among the customers that are looking for uniqueness but not extravagance. Are you trying to fill that big empty space on your wall? Would like to replace the mirror or large painting with something a bit more modern and eccentric? Have you ever considered large statement piece of functional art? Something that not only stands out with its unique beauty but also provides the time? 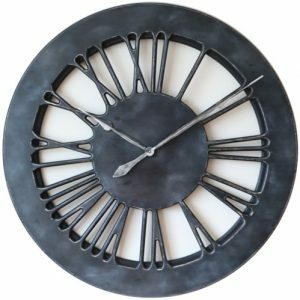 If you try simple Google search for large handmade skeleton wall clocks you will see that we are leading this niche market with no competition to be found. 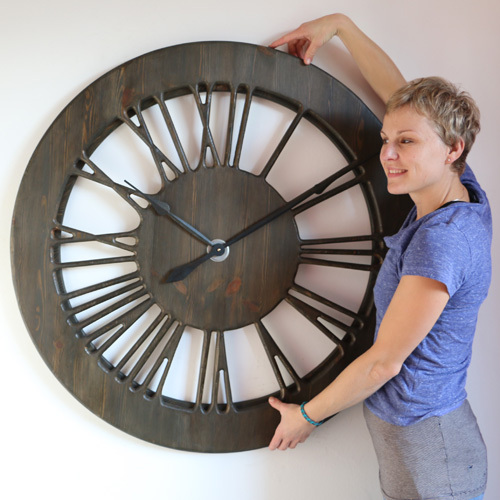 Each fabulous skeleton wall clock is handmade from a single large panel of pine wood that provides unique natural beauty. 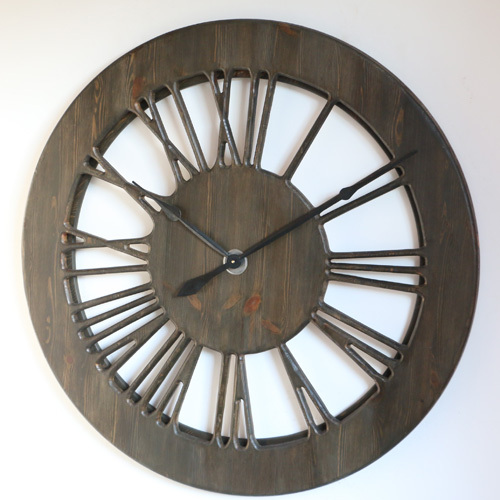 At the back of the clock you can see the circular narrow rim that gives it three dimensional look and feel. It also helps hiding the mechanism – most powerful Quartz sweep movement powered up by a single C Cell battery. 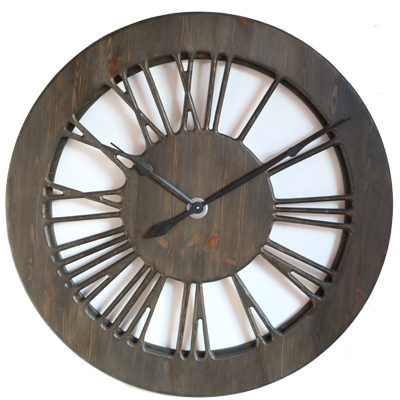 The clock is delivered with hands detached to prevent any damage in transport. You can also watch the short video where I demonstrate attaching the clock hands and adjusting the time. 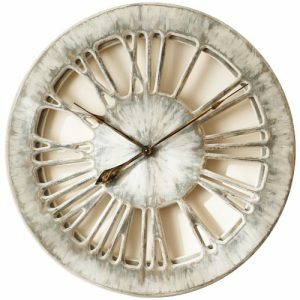 If you are looking for more information about the history of Peak Art’s skeleton wall clocks please visit our blog section and leave your feedback or comments. We also encourage you to join thousands of people in our Facebook Community where you can share your views and reach us. 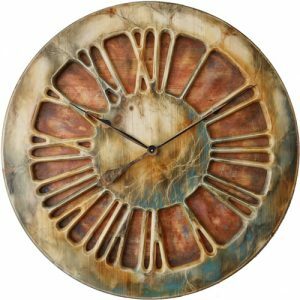 Our wall clocks are expensive pieces of art that will come to your mind when you start redecorating your house. All of them are absolutely stunning with the contemporary accents. The clocks have distinct, hand painted finish and lovely round shape. You can mount them indoors but keep them away from direct heat or moisture sources. The most popular place would be your lounge or bedroom. Any Peak Art clock can also be placed in big hallways, hotel reception or penthouse apartment. 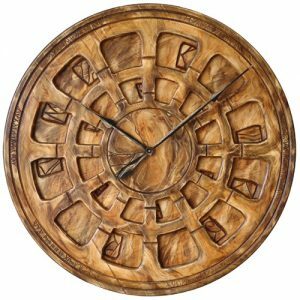 Just look at the clock gallery section to see few interior design ideas and you will agree that these wonderful artistic and most charismatic timepieces will not fail to impress anyone coming across them.